Today a group of employees form Pyramid Breweries is helping feed hungry people in our community. In this nation where so much food goes to waste, it is sad that anyone is hungry. Ever. Food is not the problem; distributing the food to those in need is the problem. That’s where Food Lifeline comes in. They gather surplus, sort and process it, and then distribute it to 275 of the areas food banks, shelters, after-school programs, and so on. Seventeen years ago, I started volunteering at the local food bank. Every Tuesday afternoon a big truck would show up from Food Lifeline and my job was to unload it and fill the coffers. Within a couple of days, the shelves at our neighborhood food bank were bare again. 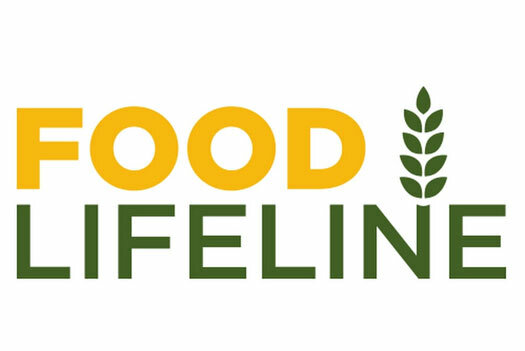 I have seen firsthand that Food Lifeline does very, very good work. Today I want to give a shout-out to the folks at Pyramid Breweries for supporting Food Lifeline. A team of employees is volunteering today at the distribution center in Seattle’s South Park neighborhood. Today, 50 Pyramid employees will contribute 175 volunteer hours at Food Lifeline’s Hunger Solution Center inspecting grocery items and parceling them for distribution, as well as repacking bulk donations into family size portions. The food will then be directed to the 275 partners served by Food Lifeline in the Seattle area. As a triple bottom line company that prioritizes community and environmental stewardship as part of its overall approach to business, this effort is part of Pyramid Breweries volunteer time-off program where employees are encouraged to volunteer one to two days per year.